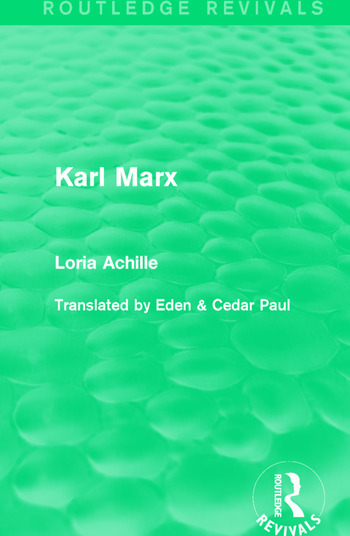 Achille Loria was a well-known Italian political economist and this translation of his work presents his views and discussions on famous socialist Karl Marx, bringing his work to an English audience. Originally published in 1917, the translators have included a detailed foreword which attempts to put Loria’s work in context of other views on Marxism. This title will be of interest to students of politics and sociology.